API Pneumatic UK can offer a wide selection of high quality accessories including pneumatic fittings in a range of sizes and materials. Our Series R brass nickel plated push-in fittings provide quick attachment and detachment of pneumatic tubing. 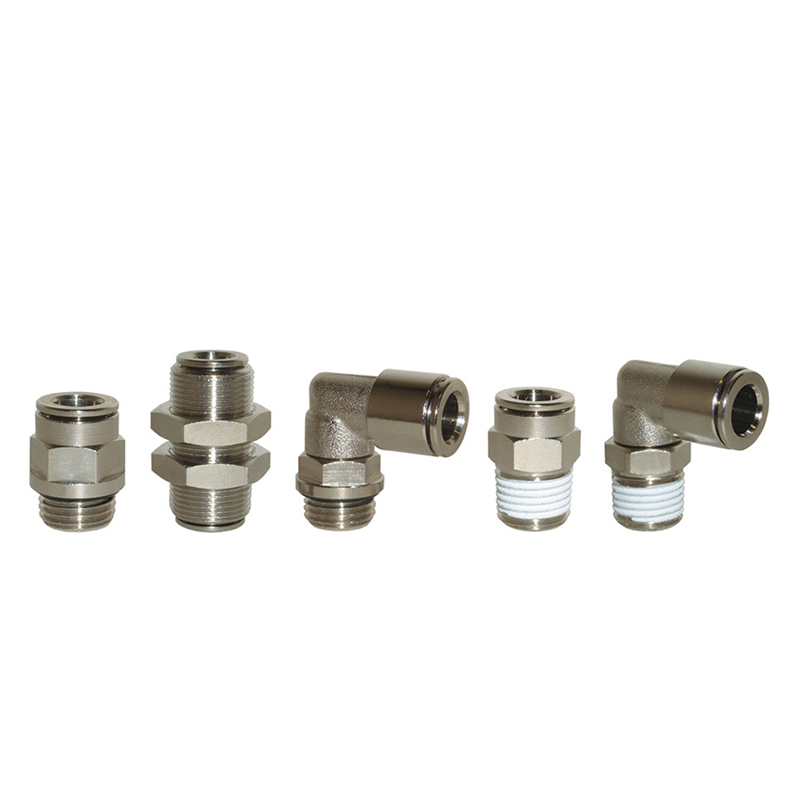 Series R/150 push-in fittings are designed for use in high pressure applications up to 150 bar and are widely used in lubricating systems. Series RT fittings, constructed from Delrin acetal plastic, deliver quick attachment and detachment of pneumatic tubing but in a lightweight and compact form. Our Series C rapid push on fittings in nickel plated brass are designed for nylon and PU tubing. Providing a midway solution between push-in and compression type fittings, Series C fittings are ideal for compressed air and water applications. API Pneumatic Series O brass nickel plated compression fittings are used with flexible nylon, PU and solid, copper, bundy and stainless steel pipe. While our brass nickel plated adaptors are designed for general pipe fitting, with a huge option of configurations available.